This special issue, guest-edited by Barrett Watten, features essays by emerging poets and critics that investigate the poetics of new meaning across film, philosophy, poetry, the novel, and art. Contributors include Vincent Cannons, Steve Evans, Benjamin Friedlander, Sianne Ngai, Lisa Samuels, and Lytle Shaw. 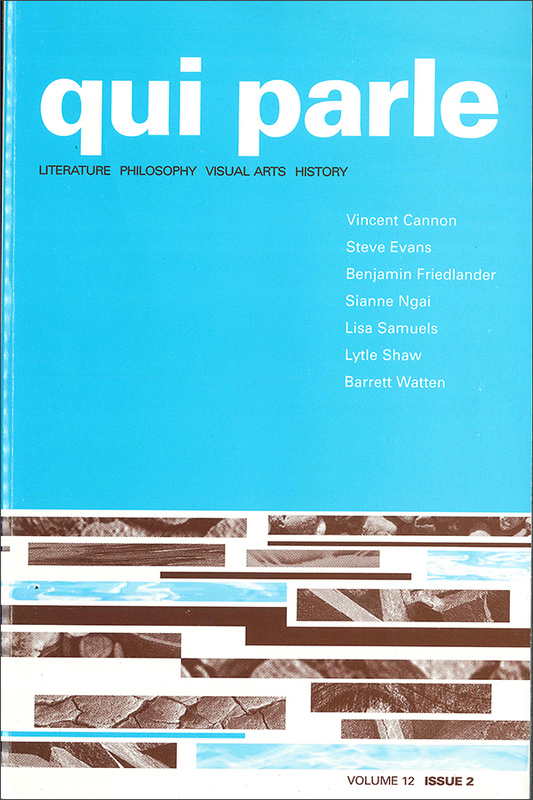 View the table of contents for Qui Parle 12:2, at the journal's online site.